As expected the new Dawn of War III has been officially announced together with a four minute announcement trailer that provides a look at the storyline and game you can expect to enjoy once it is launched in the near future. Unfortunately no information on worldwide availability has been released as yet for Dawn of War III the third game in the series, but as soon as information comes to light we will keep you updated as always. In the mean time check out the trailer below. 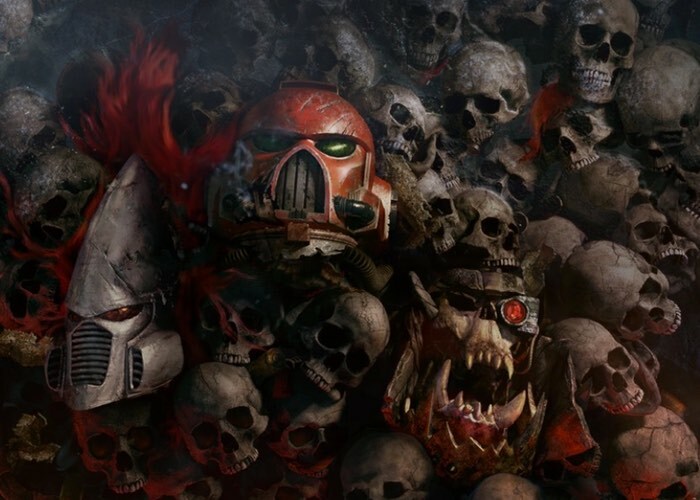 Watch the battlefield come to life, and death, as you’ve never seen it before as Space Marines, Eldar and Ork slip ever deeper into the darkness of endless war. In Dawn of War III you will have no choice but to face your foes when a catastrophic weapon is found on the mysterious world of Acheron. With war raging and the planet under siege by the armies of greedy Ork warlord Gorgutz, ambitious Eldar seer Macha, and mighty Space Marine commander Gabriel Angelos, supremacy must ultimately be suspended for survival. Take control of towering war machines and tip the balance of battle in your favor with the biggest characters in Dawn of War history. Prepare for more epic action as you wage war with massive armies across landscapes full of volcanic terrain or on battlecruisers in space. This universe has no heroes or villains. Through alternating missions you’ll soon learn the combat advantages of Space Marines, Orks, and Eldar.